EA competes with Call of Duty Elite on the PlayStation 3 first. Call of Duty rules the shooter marketplace, but that doesn't mean Electronic Arts won't keep trying to unseat Activision's flagship franchise. The latest attempt from EA to do so was revealed at the E3 press conference this afternoon in L.A. with the announcement of Battlefield Premium. Premium is essentially the packaging of all the DLC released so far for Battlefield 3, as well as early access to new subsequent DLC packs two weeks before anyone else, but only if you play on the PS3. 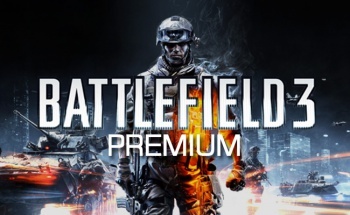 DICE representatives said PS3 owners are able to buy Battlefield Premium right now for a cool $50 (technically $49.99). PC and Xbox 360 fans of the shooter from DICE will have to wait a few more weeks. In addition to the content, buying Battlefield Premium will also reward you with in-game stuff like dogtags and weapons, as well as strategy videos and access to extra in-game events. You'll also have the ability to wipe your character's stats clean to start fresh. You know, to clear your noob status so you're not laughed off the server. The DLC packs you'll get with the service right now are Back to Karkand and Close Quarters which is out this week for PS3, with subsequent packs Armored Kill (Sept. 2012) Aftermath (Dec. 2012) and End Game (March 2013) all in the pipeline. End Game will also add motorcycles to the Battlefield 3 engine.